And while I'm by no means 100%, I'm no longer crying over birthday card shopping or wading through a foggy brain each day. I'm getting up in the mornings, my head is clearer and my psoriasis patches are now stable. I am, more or less, functioning normally. So the blogging begins again *cue fanfare*. Minced lamb, with red onion and herbs served alongside a hooooge pile of salad greens (always the best way). This recipe is suitable for the AIP (autoimmune protocol diet), paleo, primal and elimination and clean eating diets. There are no grains, no dairy, no gluten - just a big plate of nutritious loveliness. I was sent the lamb mince for this recipe by a company called Farmer's Choice. They're based in the UK and deliver free-range meat (including game) up and down the country. Their meat has only ever been brilliant, in my view, and they're very worth checking out. 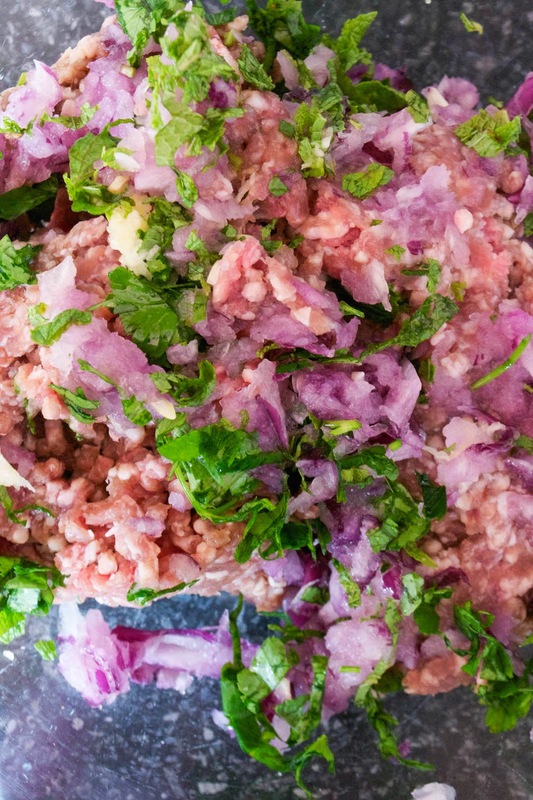 Place the lamb mince into a bowl and grate in the red onion and garlic. Add the chopped herbs and the salt and gently mix with your hands to combine. Don't over-mix or the meat might become overworked and tough. Heat a griddle or frying pan to a medium heat. 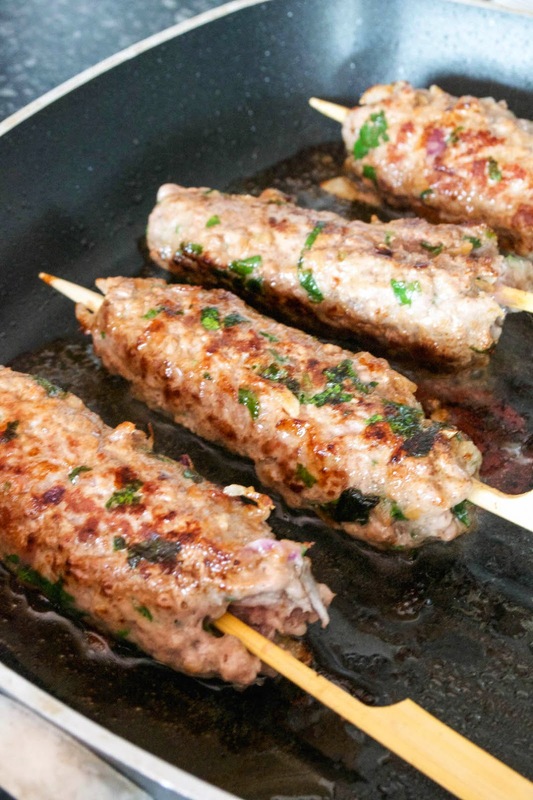 Pick up a skewer with one hand and with the other hand grab a small handful of the lamb mixture. Mould the meat around the stick, squeezing it so it's a uniform thickness all the way along. Place gently into the heated pan. Repeat with the rest of the mixture. You might have to cook the koftas in batches depending on the size of your pan - I cooked mine in batches of 4. Add a little coconut oil or olive oil if you think it needs it. Turn the koftas regularly, so they brown on all sides, and continue to cook for 10-12 minutes, until no pinkness remains (cut into one if you like, to make sure). Once thoroughly cooked through, serve with salad. 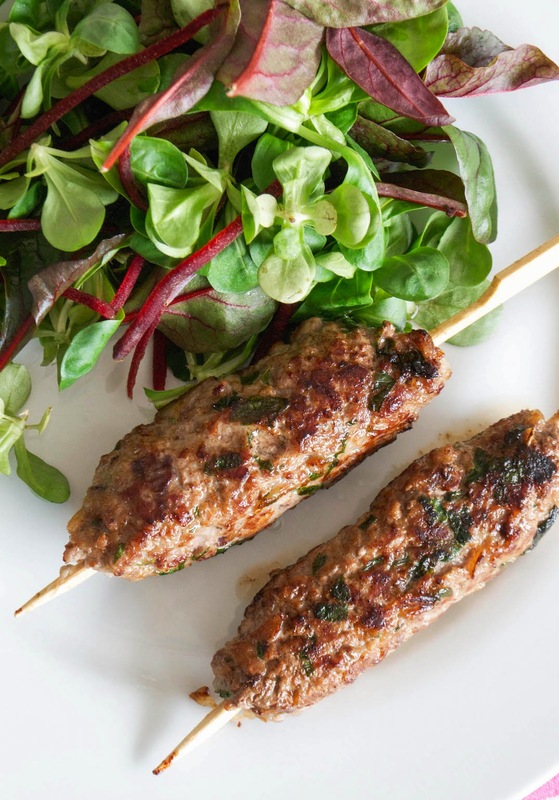 Don't want to make koftas or don't have skewers? Just form them into burgers instead and fry for 5-6 minutes per side. Try Meatified's AIP Paleo Hummus and serve the koftas with black olives and paleo wraps or pitta breads. I received a contribution towards the ingredients for this recipe from Farmer's Choice. Are you interested in paleo and AIP compliant curries, stir-fries, roasts, desserts and drinks? Check out my ebook SPICE, available to download in the Kindle store now, which contains over 90 recipes featuring herbs and spices on the autoimmune protocol.